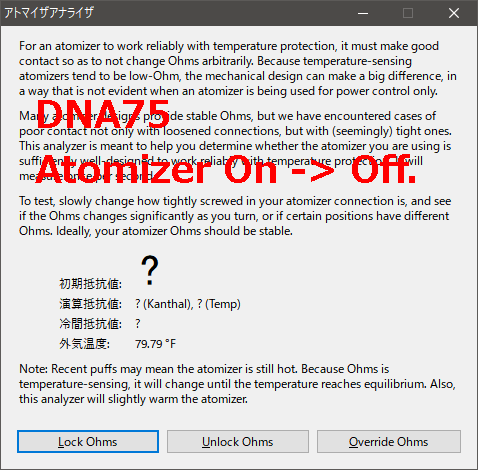 My DNA 75C is "short" when remove the atomizer. 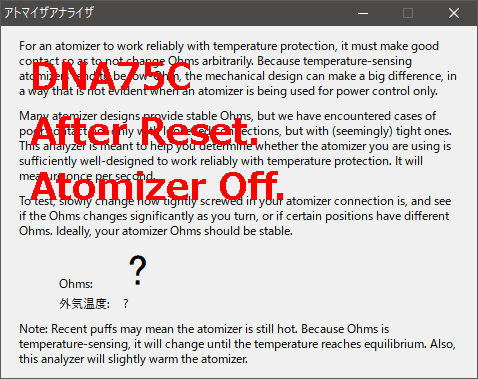 After resetting, it becomes "CHECK ATOMIZER" before attaching the atomizer. 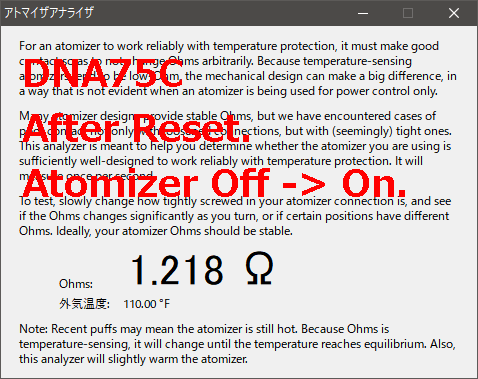 I examined it with ATOMIZER ANALYZER, after removing the atomizer, the value of 100 ohms or more appears. My MOD is actually not short-circuited. Is there a problem with my board? . 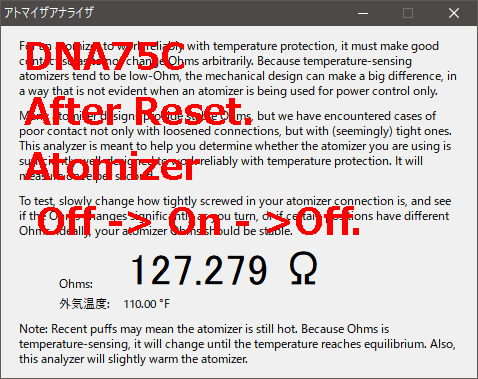 Have you checked the ohm's at the connector with an ohm meter using the same "off/on " process? 510 The connector is removed once it is confirmed. Resistance value between ATM and GND is about 500 ohms when the board is not connected and nothing is connected. Since this value is almost equal to normal DNA 75, it is judged that it is not physically short-circuited. 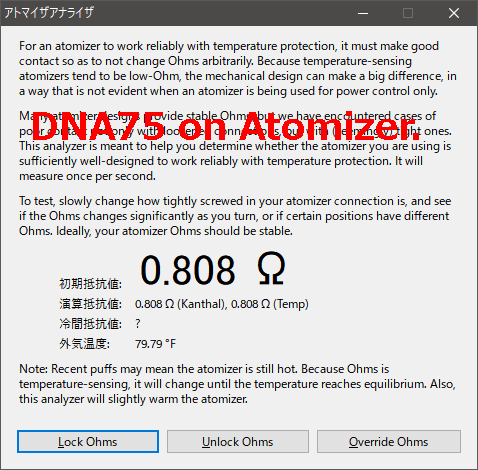 The hardware of the DNA 75C is fairly similar to the regular 75, except for all the added components for puff recording and timing and running the screen and storing the configurable UI etc. But the software is a completely new codebase. It's probably just interpreting or displaying the error state wrong. We'll add that to the list of small bugs to clean up, but I wouldn't worry about it too much. When a short circuit is detected, it forcibly shuts off and a click sound is emitted from the board. Since it seems to be a malfunction at first glance, I expect it to heal. However, because it is not a fatal factor, priority is low and it is OK.
We were able to replicate and correct this, the fix will be in the next service pack. Hello @eucalyptus.! This has been fixed in the newest Service Pack. Thank you very much. I will check it immediately.